It's time to play whose anonymous, but credible sources are more informed. 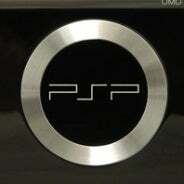 Yesterday IGN, citing several credible sources, reported that the long-rumored Playstation Portable 2 is coming soon with a multi-touch screen, Bluetooth support, integrated GPS and a hard drive. Today citing their own source close to Sony, MCV reports that "what we thought to be credible websites are making up stories about PSP2 and how it allows you to teleport across the globe, travel through time, and will be powered by the horns of baby rhinoceroses." The only thing better than an anonymous source, is an anonymous source lacking the backbone to put their face with the backhands they want to deliver to a publication. The best part is that despite the acrimony, MCV never gets around to having their source really deny the PSP2 rumor. Personally, I hope that Sony doesn't plan to chase multitouch tech, and instead look into dual thumbsticks for any possible new iteration of their portable.